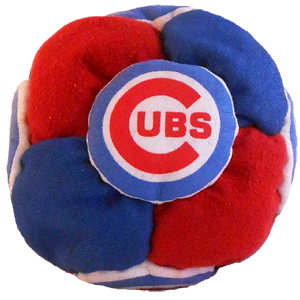 Only five offering on this extremely collectible Chicago Cubs 14 panel Dirtbag. That is it. Get your order in before these go away forever. Each footbag is unique with no two being the same. Sold separately and sent at random.